Customers want flexibility on how they pay you, whether it's with credit card, PayPal, ACH/EFT. You need a system that can accept any form of payment around the world. Fusebill's intelligent payment and processing management will allow you to accept payments in any currency around the world. Fusebill has the ability to accept credit cards, ACH/EFT, PayPal, check and cash. Our payment management is multi currency capable whether you need 2 or 10 currencies. 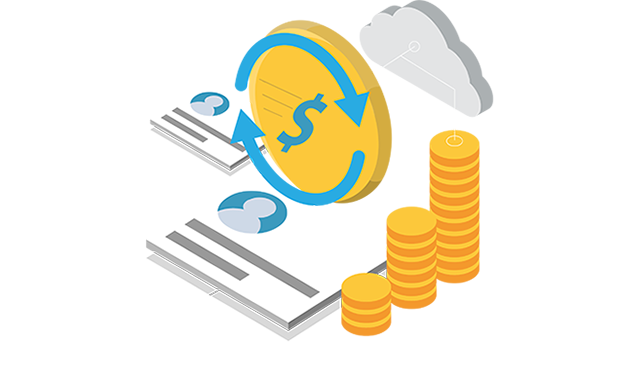 Fusebill provides the tools your business needs to grow revenues globally. Do you not want the hassle of securing credit cards and adhering to PCI compliance? Do you want to reclaim lost revenue from expired credit cards? Fusebill's vault will help with both, by storing credit cards in our PCI compliant vault and account updater will update credit cards for you when they expire. 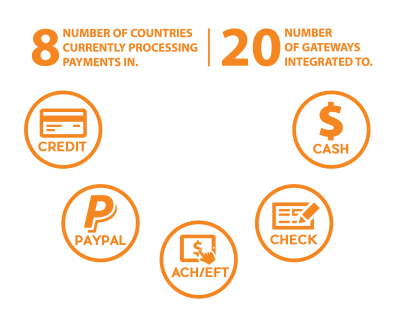 Do you want to route payments to different gateways by currency or payment method? Fusebill's gateway routing was designed to do just that. This gives you the opportunity to route payments where you have preferred rates or if you need to accept new payment methods that your current provider doesn't offer.